Some information on the guru’s and talented people you will see and hear from at the Shiny Side Up events. Jay Reeve returns to Shiny Side Up as an MC in the Lounge area this year. He’s one of NZ’s most popular and irreverent multi-media broadcasters, having hosted the country’s number one drive show on ZM with Flynny until early 2015, when he made the shift to Radio Hauraki Breakfast. Jay is now the host of The Rock’s Drive Show with Duncan Heyde. Jay has a great interest in photography (and his brightly coloured Holga 120 camera) and motorbikes, and is extremely proud to be an ambassador for Harley Davidson NZ. Jay is a prolific social media influencer and has been an ambassador to some of the world’s leading brands. Now married to model Anna Fitzpatrick, he has twin boys ‘The Reeve Nuggets,’ and lives in Auckland. Duncan joins the Shiny Side Up team for the first time as MC in the Demo area this year. Duncan’s latest radio adventure is hosting The Rock’s Drive Show with Jay Reeve. His love of people and performing has helped him become a polished event MC. He has MC’d auspicious events like Wellington Homegrown, Queenstown Winterfest, V4 and Rotarys, Methven Big Air, The Beach and Boat Fishing Competition, and ground announcing for The Auckland Blues. Senior Research Fellow (Fibre Science And Technology), Deakin University, Australia. Last year, Australia and New Zealand created the MotoCAP rating system for motorcycle gear. Dr Chris Hurren is the scientist in charge of testing at Deakin University’s materials laboratory in Australia. • What you need to wear if you ride on the motorway or open road. Chris has worked for Deakin University since 2001. His expertise is in the development of protective and performance textiles. He specialises in the measurement and development of protective textile structures for motorcycle apparel. His laboratory at the university Campus has the only Cambridge style impact abrasion tester that is capable of testing to EN13595-2 requirements in Australia and New Zealand. Chris has built up a complete testing facility that can achieve all of the protective tests of impact abrasion, stab, cut, tear, burst, air permeability, water resistance and thermal comfort relevant to motorcycle apparel. He led the team that developed the MotoCAP performance testing program for motorcycle protective clothing that was launched in 2018. He has authored and co-authored a number of papers in the measurement of protection and comfort levels of motorcycle clothing. Chris does research in many areas of textiles with an emphasis on physical problems. His research has won him a number of awards including a H&M Foundation Global Change Award in 2017 for his work on recycling colour from used denim jeans; and a National Innovation Award at the Land Forces Conference in 2018 for a textile based medical diagnostic device. Avalon Biddle is a motorcycle road racer. 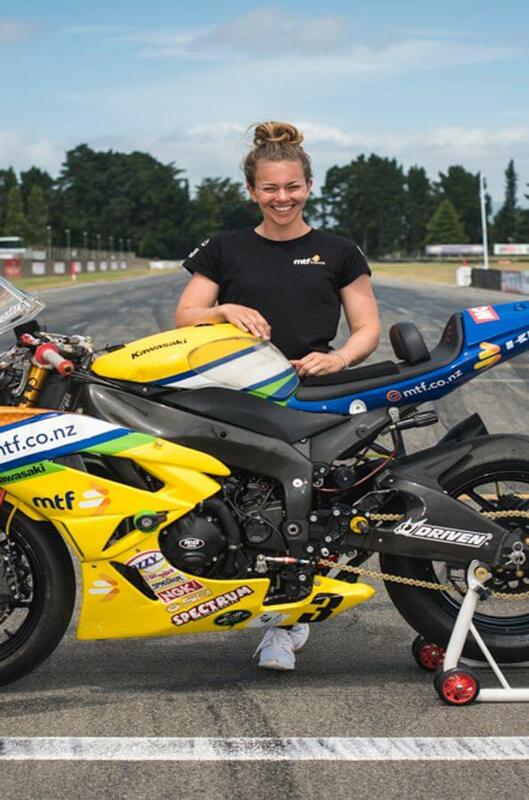 In 2018 she came third in the New Zealand Supersport 600cc Championship. This year Avalon joins us at Shiny Side Up to talk aboutthe sport of motorcycle road racing, techniques for riding safely on the roads and track, and specific skills that apply to riding all motorcycles. Avalon has raced motorcycles since she was six years old, starting out in mini motocross and starting road racing when she turned 13. She made it to the very elite level of the sport winning two European Women’s Championships and one New Zealand title. Avalon is currently racing the MTF Finance Kawasaki ZX6r in the New Zealand Supersport 600cc championship. Alongside this, she works fulltime in marketing for a motorsport orientated company and keeps extra busy with physical training and some Sky Sport TV appearances. 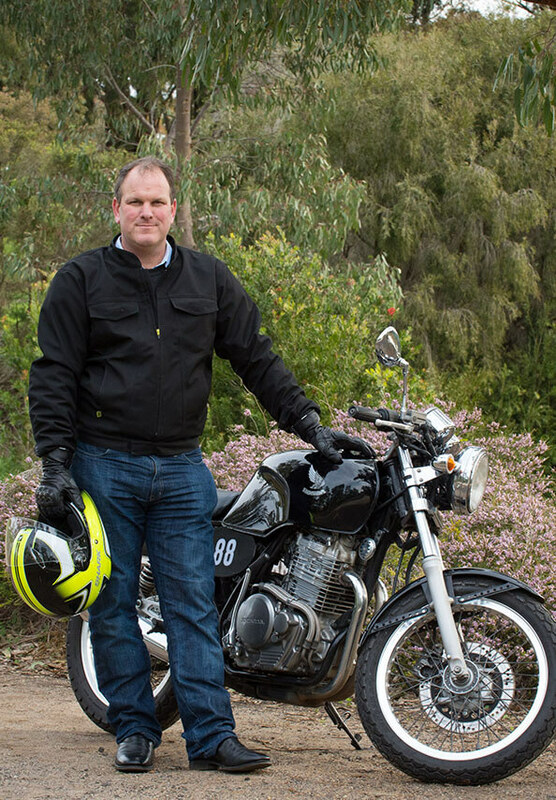 During his 13 years at the Victorian Road Authority, VicRoads (Australia), Kenn held a variety of positions including Senior Road Safety Engineer, Motorcycle Safety Coordinator, Team Leader Road Safety Projects and Manager Program Development. While at VicRoads Kenn spent years managing the Victorian Motorcycle Safety Levy Infrastructure Program. In this time, over $25 million of Motorcycle Safety Levy funds were invested in Victoria on infrastructure improvements to specifically reduce road trauma for motorcycle riders. Kenn is a licensed rider, accredited trainer, assessor and Senior Road Safety Auditor. 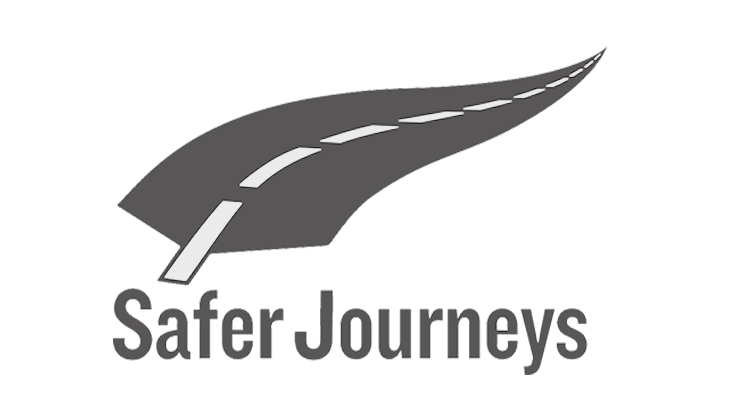 In 2017, Kenn lead a team (including VicRoads, Safe System Solutions Pty Ltd, NZ Motorcycle Safety Advisory Council, ACC and NZTA) that won a Prince Michael International Road Safety Award for the Making Roads Motorcycle Friendly training package. 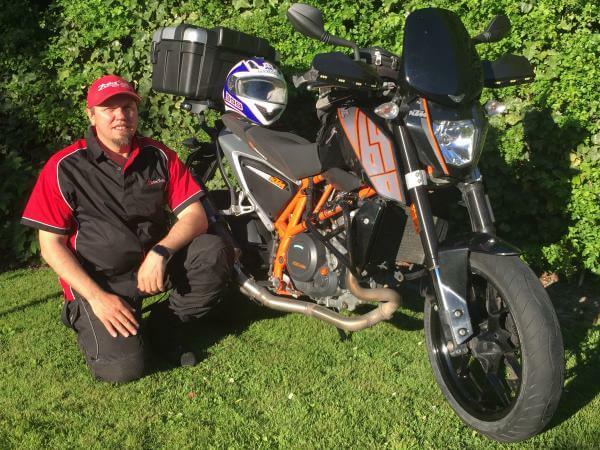 Kevin trained as a motorcycle instructor after 16 years as a courier, and then set up Survival Skills in 1997. He writes prolifically on rider training and motorcycling issues, contributing a regular column to ‘The Road’ since 2002. He’s been published in RiDE, Bike, Superbike and Two Wheels Only as well as the Telegraph. Better riding pieces are regularly posted on the well-supported Survival Skills Facebook page. Others can be found on the website and blog, and are often re-run in club journals. 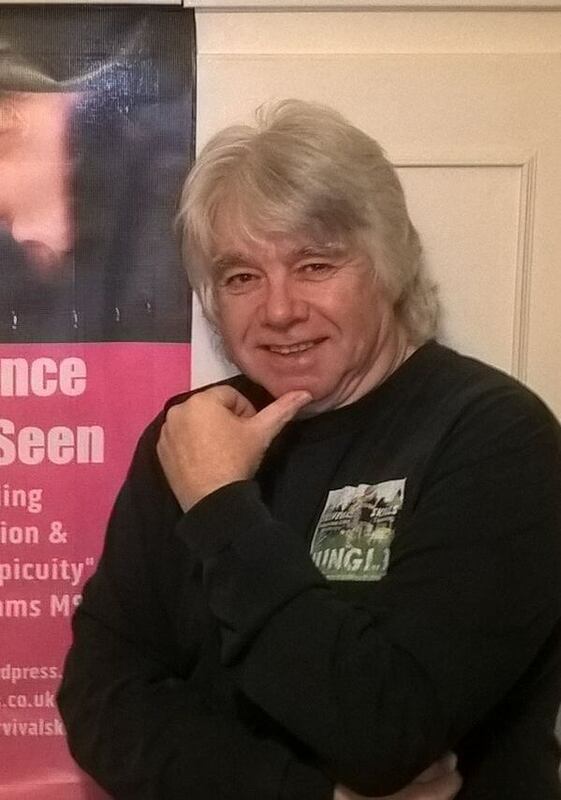 Kevin has authored a number of books on better riding technique, including three books covering; better riding technique in a DIY format (‘Survival SKILLS’), riding ‘knowledge’ (‘Tarmac Tactics’) and mental approach (‘MIND over MOTORCYCLE’). Kevin’s ‘The Science of Being Seen’ presentation investigates conspicuity strategies and proposes proactive ways to reduce rider risk. He personally delivers SOBS for Kent Fire and Rescue Service on the international award winning ‘Biker Down’ programme in Kent. A version of the presentation is delivered by a number of Biker Down teams in the UK. Kevin has worked with a number of road safety bodies, currently on the ‘Ride Skills’ programme at Brands Hatch. Kevin is at the forefront of the ‘No Surprise? No Accident’ rider safety initiative whilst takes new ‘Safety Two’ thinking on human error and applies it to motorcycling. the common reasons why people crash. Peter joined the Ministry of Transport (MoT) back in 1988 because they were prepared to pay him to ride a motorcycle for a living. 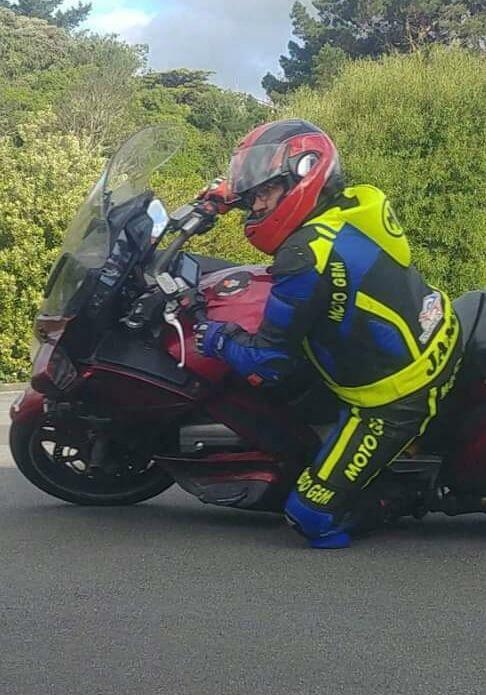 Peter says that worked out well as he rode Yamahas and BMWs up and down the Remutaka Hill, near where he was based in Upper Hutt. He moved to Taupo in 1992 and stayed on after the Government merged the MoT and Police in July that year. Over time he became more and more fascinated in figuring out the cause of fatal and serious crashes that occurred all too frequently. Since 1995 he has specialised in attending and investigating fatal crashes beginning in the Taupo area, and then from 2009 in Wellington where he took up the Sergeant’s position in the Serious Crash Unit. how her training experience affected the outcome of each get-off. Most importantly, Brittany will compare, contrast and discuss the short and long-term consequences of both crashes. Brittany promotes the importance of training, rider attitude and focuses heavily on the use of proper safety apparel. Her mission is to cultivate a permanent change in the safety attitude of motorcyclists so that everyone can experience the joy of riding. 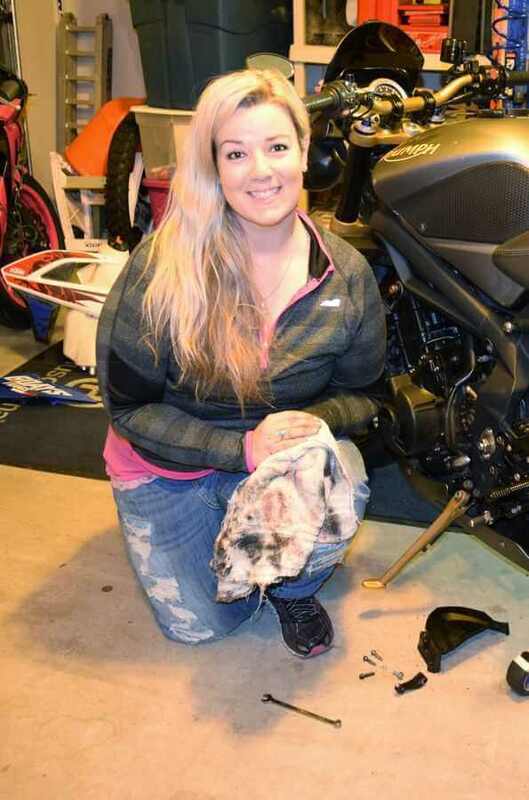 Brittany has been a certified motorcycle safety instructor in the USA for 10 years, holds an AMA racing license, is an avid rider and moto-journalist, and is also the National Director of the Women’s Sportbike Rally. 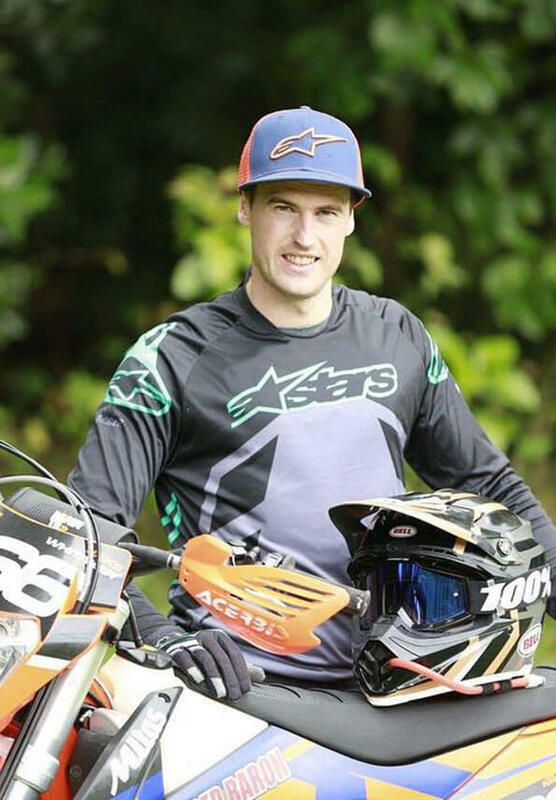 With various New Zealand and international titles under his belt, as well as two Guiness World Records, born and bred Wellington man Jake Whitaker has solidified his spot as one of New Zealand’s top Extreme Enduro and Trials riders. Jake will put on a spectacular display on both his trials bike and Enduro dirt bike, manoeuvring them over and around obstacles, jumping gaps and his wife and popping wheelies and stoppies. What’s the difference between braking with or without an Anti-lock Braking System (ABS) on your bike? Our Ride Forever instructors from 2 Drive Safe Rider & Driver Training will show you the benefits of ABS in the gravel pit. We’ll also show you how effective a motorcycle stops compared to a car, and what could happen if you’re following too closely. Duncan Seed is the lead instructor from 2 Drive Safe Rider & Driver Training. He’s UK trained to the highest of riding standards. 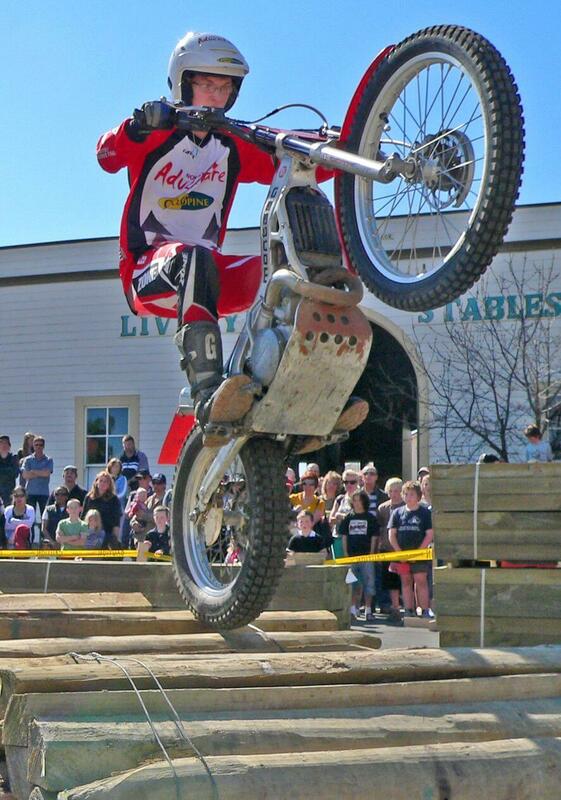 His team of instructors have over 200 years of riding experience and are New Zealand’s best. They are experts in explaining how to get the most of every ride. Chris from Passmasters will be in the demo area this year showcasing ‘The Pig’. The Pig’ was commissioned by WSP Opus for a NZ Transport Agency project looking at the road surface and effects of tracking and flushing (bitumen bleed) on cars and bikes. 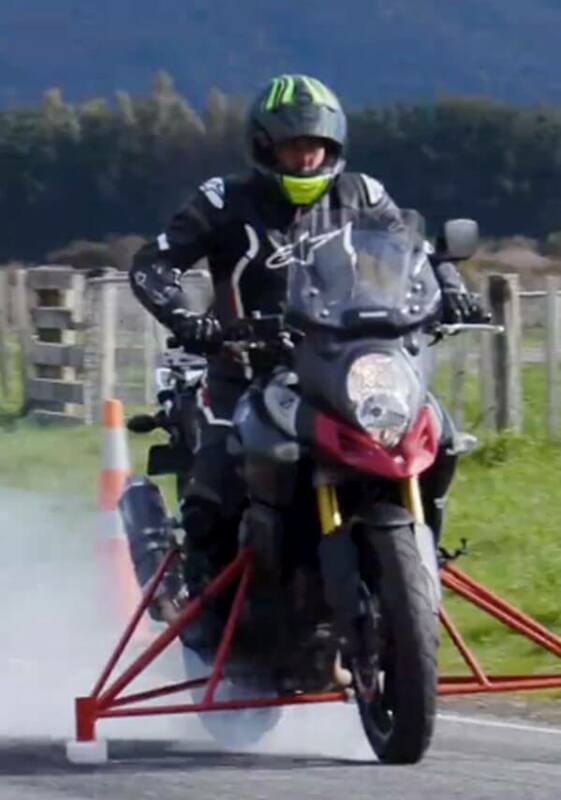 This was the first time that motorcycles have been part of any testing here in New Zealand. The 2014 Suzuki was chosen due to its anti-lock braking system (ABS) being a common one and therefore comparable to 90 of all other ABS motorcycles in NZ. The ABS has been modified to be switchable allowing the rider to disable it easily. The rig has been designed so that a locked front wheel skid can be held right up to and beyond the crash point while ‘reducing’ the risk to the test pilot. This rig had been tested up to 120kph on a runway (yes, it’s quite scary). Chris was chosen to be the test pilot as he lost the bet and is expendable. His colleague Brian just laughed and shook his head. MotoGymkhana is a growing adrenalin packed motor sport. Riders race against the clock in time trials around cones. These tight circuits test the skills of riders and the limits of the bikes in a safe, non-lethal, environment. James has been learning the art of motogymkhana for the past five years. This year he’s proud to present the Coneheads team, which includes riders with varying experience levels who are all are now exceptionally competent riders. They will be showing some of their standard practices followed by a short, timed race. The Nonstop Adventure team has come out of retirement to give you a taste of riding skills that will help any motorcyclist to ride safer while negotiating the day-to-day hazards of riding a motorcycle. The Oliver Clan are well-known nationally for their display riding at major events such as Mystery Creek and closer to home at local A& P shows. At Shiny Side Up in Nelson the Oliver Brothers, starting with the youngest Peter and then Nick and Andrew along with their father Stephen, will put on several displays for your entertainment. Dave grew up in country Victoria riding Moto x bikes from an early age and developed a passion for street bike stunt riding in his teens. Performing professionally for over 10 years Dave now regularly features at many major events across Australia and throughout Asia where he lived full time for three years. Dave is also Australasia’s first and only Yamaha factory backed stunt rider. 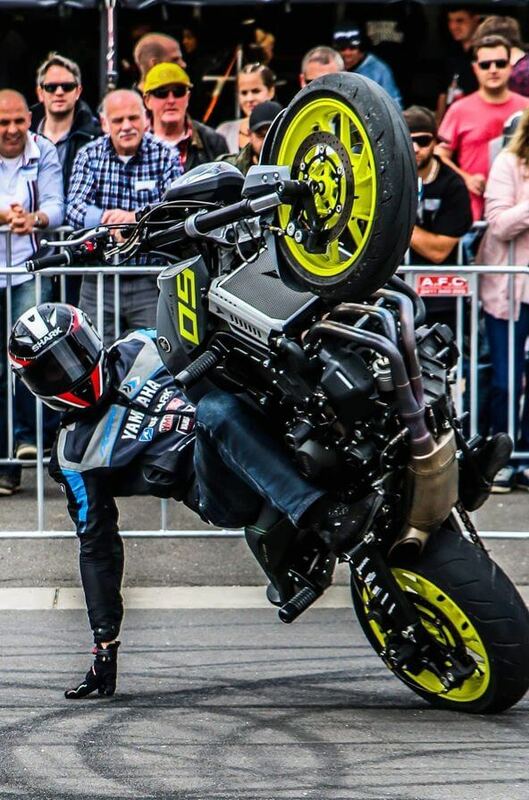 His bikes of choice are the powerful Yamaha MT09 and the radical world’s only supercharged Yamaha MT10 drift bike.